The Prophecy is the first book of Saga of the Chosen, an urban fantasy series sprinkled with action, adventure, an unfolding mystery and a dose of romance. Set in contemporary San Francisco in the fantastical and intrigue-ridden world of Chosen where factions of Wizards, Shape-shifters, Vampires and others vie for power and influence over their kind, it introduces Tasia Armstrong, a Magick with dangerous secrets and powers. Circumstances propel Tasia from a nondescript life on the fringes of Chosen society to a crucial role in an investigation to decode a mysterious plot from the past that threatens her people. Along the way, she gains new friends and allies while struggling to maintain a tempestuous alliance with the local Shape-shifter Pack. Thrust into a world where the line between friend and foe is often hard to decipher, Tasia must figure out the rules quickly even as danger stalks ever closer to her. 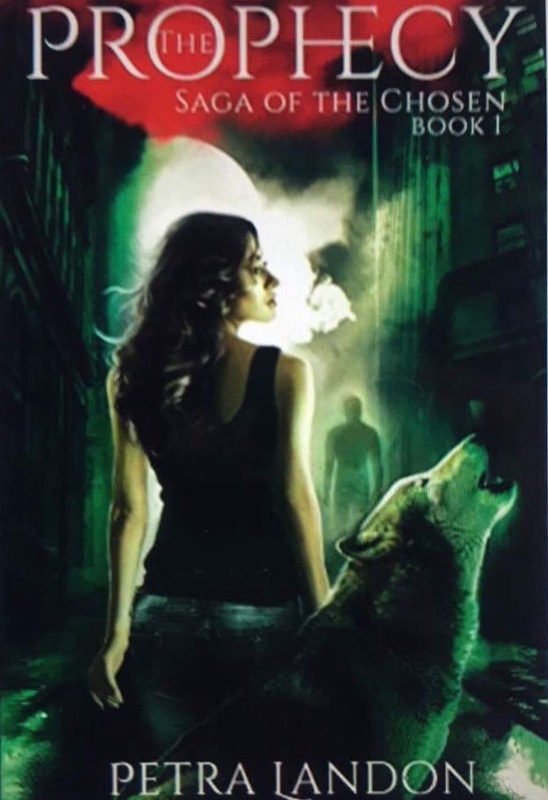 The Prophecy by Petra Landon is an urban fantasy readers don’t want to miss. I found myself deeply engaged page after page. The plot is intriguing. It has action, adventure, and romance. Inside, readers will find charcaters that vary from vampires to shape shifters. There’s a great cast of paranormal beings to love. The mystery was well-done. Kept me on my toes constantly. Petra Landon has phenomenal skills. Her characters dragged me out of this world and straight into theirs. I loved it. The Prophecy is the first novel to this new series. I can’t wait to read the next book. Here, there’s a prophecy that will divide the main character’s people apart. This prophecy, causes competition among the paranormal beings for power. A wizard informs Tasia Armstrong of it. It’s up to her to solve this 25-year-old mystery before things get worse. Deadly secrets and a fantasy that will keep readers entertained. I couldn’t stop reading it. The beginning is a tad bit slow but other than that it speed up quickly. Overall, I recommend The Prophecy to readers worldwide.